Under a grant from AARP California, researchers at the USC Leonard Davis School of Gerontology partnered with colleagues at the UCLA Luskin School of Public Affairs to examine the factors that promote and hinder social connectivity among older adults aging in place in Los Angeles. Researchers conducted focus groups in English, Spanish, and Korean with low-income older adults to discuss these topics, with a special focus on how older adults use technology to remain socially engaged. Recent years have seen a growing focus on the consequences of loneliness and isolation, especially among older adults. More than 8 million Americans age 50 and older are affected by social isolation, and isolation and loneliness have been found to have serious negative health and financial impacts (AARP). While adoption of technology and social media have the potential to reduce isolation, there are many factors that hinder older adults’ adoption including cost, disinterest, and a lack of the skills needed to use various devices. Focus groups were conducted with older adults living in a low-income area of Los Angeles that is home to a diverse, largely immigrant population. Findings revealed a wide range of technology use patterns as well as a wide range in feelings of loneliness within and across these language groups. 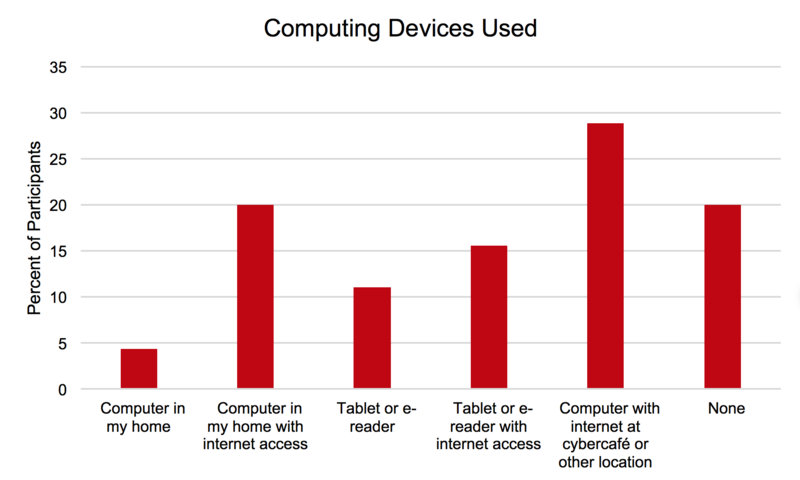 Although some older adults did not have the resources or the desire to use technology, others used mobile phones, smart phones, tablets, and computers – either in combination or alone – for purposes of contacting their family and friends, accessing health care information, getting the news, shopping, and watching television. These findings suggest that there cannot be a one-size-fits-all approach to promote technology adoption or to reduce isolation. 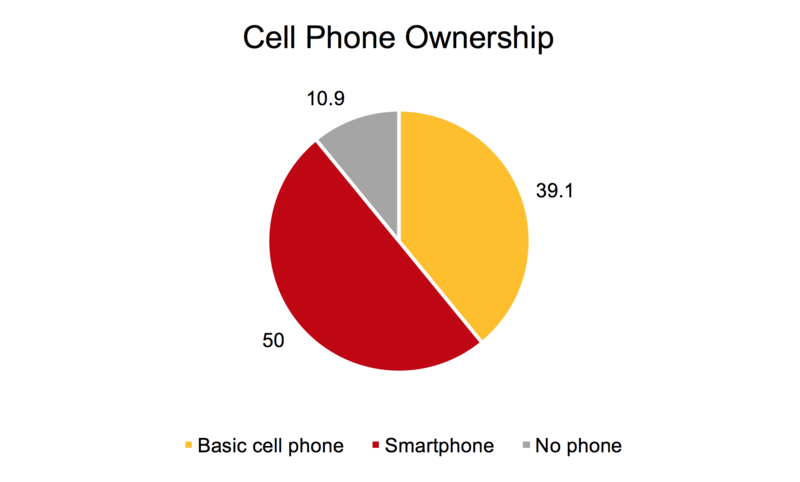 The patterns of technology use as described by the older adults from these focus groups provide an insight into the wide range of technology adoption among low-income older adults in the greater Los Angeles area. There was a relatively high use of some technology among this engaged group. Yet the older adult population in Los Angeles grows increasingly diverse, with varieties in abilities and desires to use technology. Many older adults indicated a reluctance to adopt newer technology because they preferred to communicate in-person and expressed concerns that technology is too complicated or too expensive; others used it for entertainment, to plan local and long-distance travels, and to communicate with their loved ones. Students at the USC Leonard Davis School of Gerontology proposed ideas for applications that alleviate social isolation and loneliness among older adults. Jennifer Lee ’18 took first place with CoLab, an application that allows older adults to post activity requests that students can then respond to and fulfill. Second place awards went to Community Connection and Community Match, which help older adults find social activities or services. These insights can be applied to developing programs and opportunities for older adults to grow more comfortable using technology and to help them navigate the barriers that prevent them from technology adoption. While we should continue to explore technology-mediated social connectivity through apps like CoLab, we must also consider offline factors of the built and social environments that further promote or hinder connectivity. Rather than viewing technology as a potential panacea for loneliness, policy makers and product designers should consider how technology use intersects with the built environment and with opportunities to engage in activities designed to promote more inclusive communities for people of all ages.